CeFHA runs two child supplementary feeding Centers consists of 45 children. The Child supplementary feeding centers are supported with supplementary feed like Egg, Milk and Fruit/ Peanut roll and Nutri mix . The two centers are supplied with various material for children play materials; It is a fun school; The mother leaves the child in the morning and leave for labour work and collect the child in the afternoon. 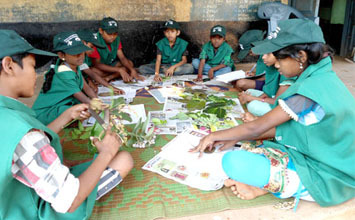 The children are fed , learn simple words and play. The volunteers also responsible for the children health and immunization. 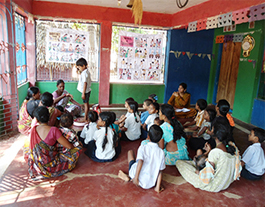 The community and the women group leaders monitor the programme and the health coordinator checks the health , height, arm circumference and weight every month and inform the parents about their status of health. 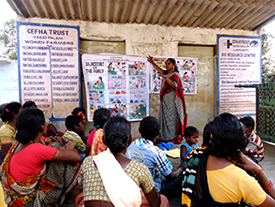 The Project organizes Mobile Village Health Clinics through the health coordinators in all the operational villages. They organize meetings in the villages and educate the Community through flash cards and flannel graphs on safe drinking water, scabies. 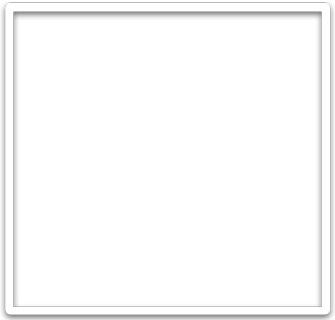 Malaria, balanced diet, sanitation, kitchen garden, eyesore, Diarrhea, vitamin deficiency, Baby care, Typhoid, and immunization. The project emphasizes on generating health consciousness and reduces unproductive expenses among the communities in the villages. 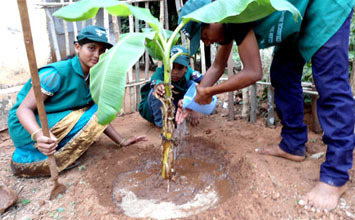 Some villages have a problem of Safe drinking water due to the defunct bore wells. Due to environmental degradation, less yield from agriculture, lack of nutritious food, lack of sanitation, lack of consciousness on health facilities are found in the region. 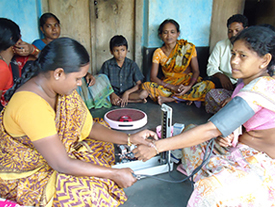 The health coordinators are supported with health education materials, health equipment, and health screening materials, arm circumference, BP machines; sugar monitor and other screening related equipment. 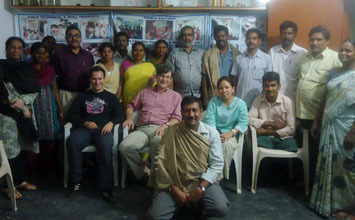 The health coordinators are responsible for Health Education, Family screening, Patient treatment, Referral activities, U/5 clinics, Pre – Post natal care and Safe Drinking water and extended education in all the targeted villages and also screened the children group members in the village. The health personnel visits the villages with the required Equipment for screening and health records and organize the community meeting and screened families of that village and document in the records. 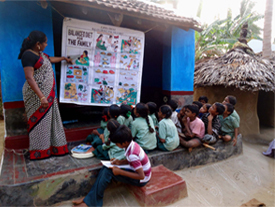 They also educate the community and SHGs on Health and Nutrition Education. During the family screening people were identified the particular sickness/disease like eyesore, Worm, Wounds and scabies, viral fever, Jaundice, Malaria, Diarrhea, back ach, joint pains, , safe drinking water,. 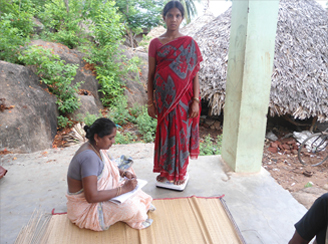 Individual health check-up and weight during the clinics at the Villages, once they identified the patients they treat them with medicines, if they find it is chronic they will refer to the government hospitals. During the clinic if the health coordinator is unable to treat they will be referred to the Government doctors or to the health consultants. Adolescent girls are more vulnerable than women since they are at a point where they have to deal with a changing physical identity, and have neither been hardened by experience nor have the ability to deal with how others perceive them. Poor access to sanitation and hygiene facilities makes them even more vulnerable to health and Sanitation & Nutritional Problems. The Project identifies the pre natal mothers and followed up with regular monthly weight, iron deficiency, vaccination, swelling, and other complicated symptoms. Post natal mother education imparted to the women on balanced diet, personal hygiene, infant feeding and breast feeding related aspects on Nutrition for the better health of both mother and child. The postnatal mothers are supported with iron syrups, milk and vitamins capsules. The Immunization of pregnant mothers was administered to avoid Tetanus during pregnancy time (Tetanus Toxiod) the mothers were given education on safe delivery like cleanliness, good food and plenty of vegetables and regular health check ups. The prenatal mothers will be supported with iron tonics, milk and vitamins capsules. The drinking water Program was followed-up in all the target villages through community. 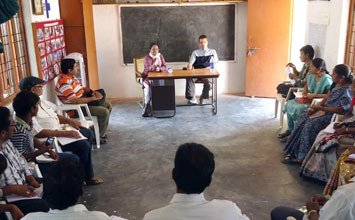 During the rainy season water gets contaminated and people suffer from many water borne diseases however, people are imparted education and training on how to get safe drinking water. 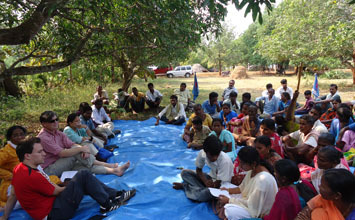 The staffs were given thoroughly education on safe drinking water in all the above villages. The women group members are contributing for the Health fund in the village to utilize for any emergencies in the village for the members of the women and children and depositing in the bank. They are also organizing meetings on the fund raising and discussing thoroughly. Every women is contributing 10/- apart from their regular savings. The women leaders opened an account in the post office and maintains. There is a high rate of mortality among the children in the area of the age group between 1 to 5 years. To understand the problem of children mortality, all the under five children were surveyed. Basing on the survey, in the targeted villages the under five clinics were organised and education was imparted to the parents on deworming, personal hygiene, Under-five care, food demonstration, feeding, balanced diet, Child nutrition, balance diet, baby’s diet, personal Hygiene and baby care, Kitchen garden and supplemented with vitamins. 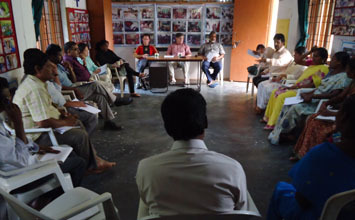 The staff educated the community on health rights and the Government Health programme of ICDS. Kitchen gardens are meant to supplement the nutrition food like vitamins, proteins and minerals for the family and mal nourished children. 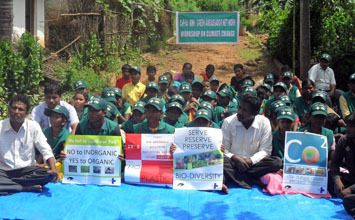 The education was imparted to the villages to initiate a small kitchen garden. 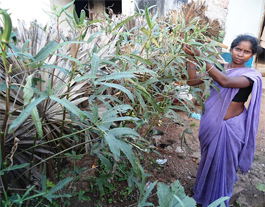 To support the vulnerable and poor families to develop their own kitchen garden in the backyard of their houses, which will supplements food and nutrition necessity and also reduce the food and vitamin deficiency such as iron, night blindness, protein etc. of the poor and needy families. 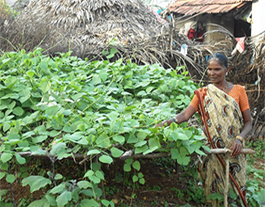 The project provided the following varieties of kitchen garden seeds by the support of the project. Brinjal, Tomatoes, Chilly, Bitter gourd, Bottle Gourd, Cucumber, Greens, Spinach, Rich gourd, Lady finger, Radish, Cluster beans, and long beans.